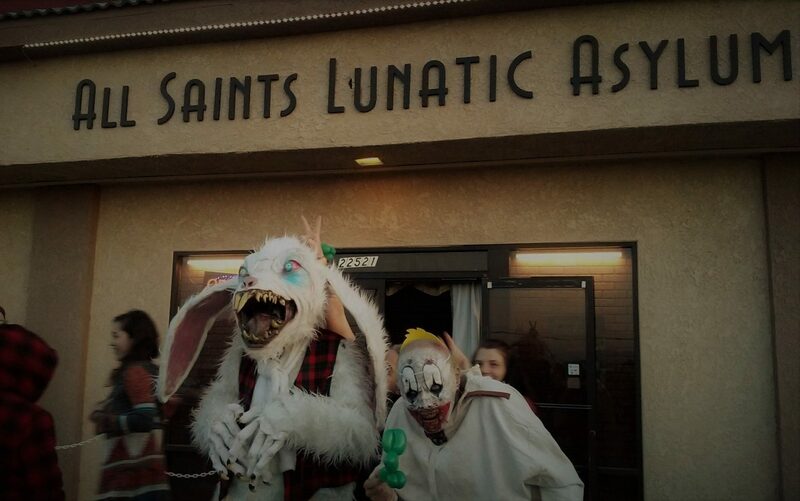 Description: The premiere Halloween Haunt in Thousand Oaks reopens its doors for 2013. 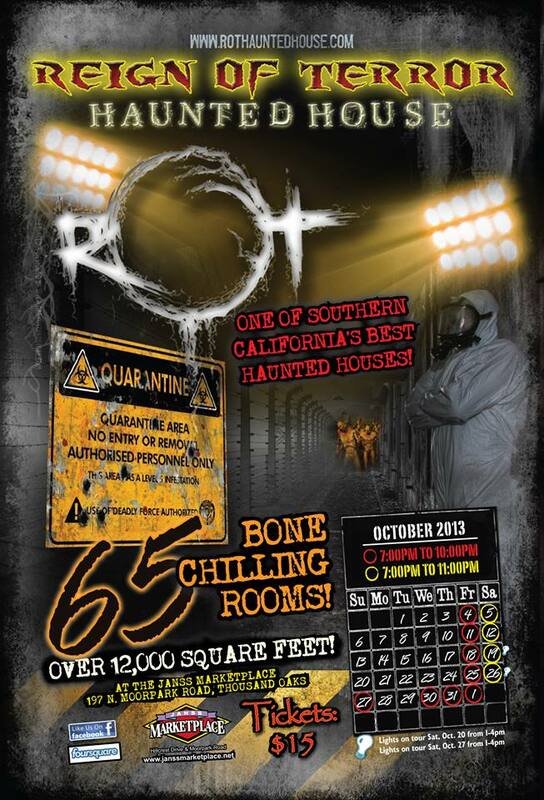 Ever expanding, The Reign of Terror Haunted House will offer even more horror than before, with a whole new section of mayhem: in addition to the original haunted house, the Asylum, Blood Manor, and Miner's Revenge, Halloween 2013 features Quarantine, a postwar laboratory where experiments have gone horribly wrong. 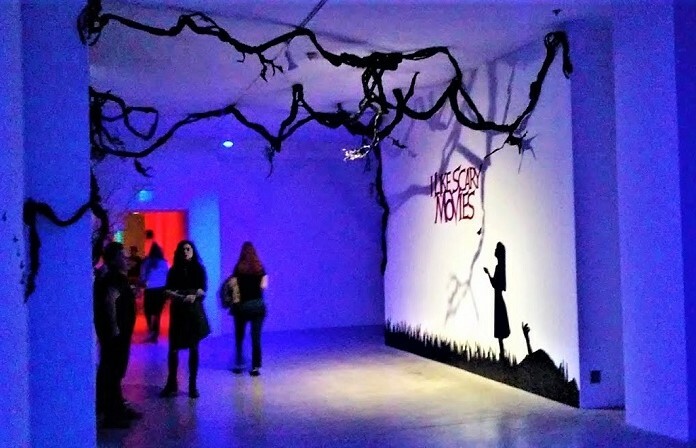 Reign of Terror is open on October 4-5, 11-12, 18-19, 25-27, 30-31; and November 1. Hours of operation are 7-10pm on most days; 7-11pm on Saturdays. General Admission tickets are $15. Express Line tickets (little or no waiting) are $25. There is also a family-friendly "Lights On" event, with no actors, on two Saturdays: October 19 & 26, 1-4pm both days. Kids admission is $5; parents get in free.